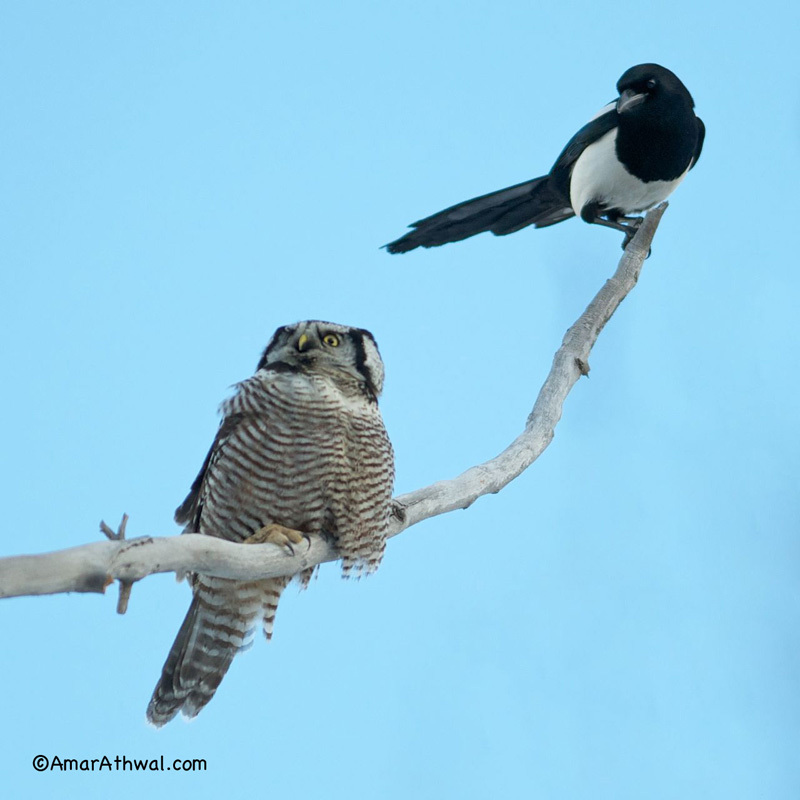 Often owls will get mobbed by other birds if spotted, not wanting to take the risk of the predator attacking. Rare for the owls to get hurt, mobbing stops when the owls moves on. In this case it was a Northern Hawk Owl getting mobbed. 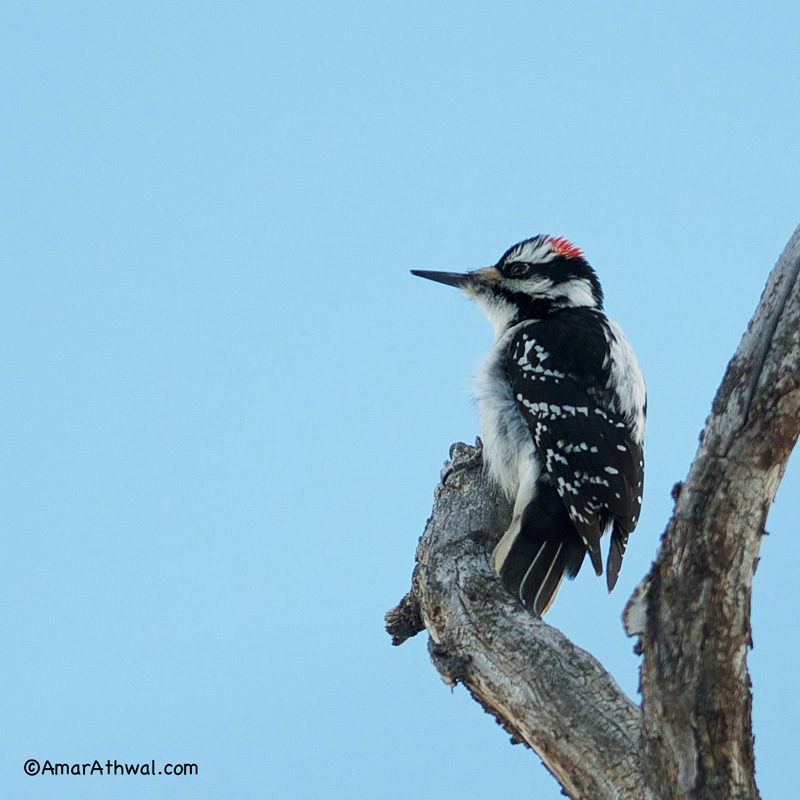 A Hairy Woodpecker was doing the job of calling out to let other birds know the presence of an owl. 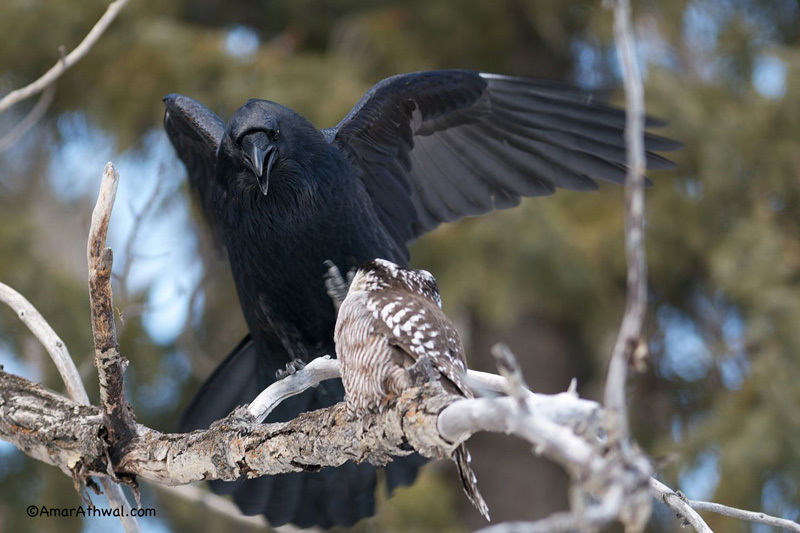 There was a Black-billed Magpie staying nearby as the Raven was in the owl’s face. After few minutes the owl decided to fly into the forest. The woodpecker chased it down and the magpie and the raven started to attack the owl. Soon another Hairy Woodpecker and Black-billed Magpie joined the mobbing. For few seconds the owl seem to look right at me, as if saying “can you believe these guys”. Once again the owl tried to fly away but was quickly spotted by the woodpeckers and the magpies and the raven kept trying to attack the owl. Eventually the owl had enough and decided to fly far away, only the woodpeckers followed.